Who doesn’t love a wildly entertaining book, especially one that’s extremely funny, insightful and addresses the country’s most important ethical and political issues of the twenty-first century? I’ve read many books about animal cruelty, veganism, environmental atrocities, and the current problems involving American politics, but I’ve never read a book which addresses all of these issues in the form of an engaging fictional novel! This is precisely what makes Glen Merzer’s Off The Reservation such a unique and intriguing reading experience. Not only is Off The Reservation a story written with intelligence, wit and humor, but it cleverly asks its readers to imagine what might actually happen if we decided to take a straightforward and honest approach to American politics. In case you’re not aware, Glen Merzer co-authored the extremely informative book Mad Cowboy with Howard F. Lyman, depicting Mr. Lyman’s journey from being a fourth-generation Montana cattle rancher (with a spinal tumor) to a healthy vegetarian. In fact, it was Howard Lyman’s testimony on The Oprah Winfrey Show which exposed the livestock industry as a culprit in damaging our country’s health and environmental well-being. This led to Oprah’s declaration that she would “never eat a burger again” and well-publicized trial wherein a group of Texas cattlemen sued her, her production company (Harpo Productions), and Mr. Lyman as joint culprits in Food Disparagement. In any event, Off The Reservation is a delightful and amusing story in which its compelling main character, Congressman Evan Gorgoni, tackles the most important political run of his life (you guessed it…for the presidency!) by taking “the road less travelled”… with honesty, integrity and truth! Those closest to him question his unorthodox and “never-before-seen” campaign approach which makes for quite a comical read. One can only dream of a real-life politician taking such a forthright approach in any campaign, let alone a presidential campaign! The portrayal of the Gorgoni family as vegans made Off The Reservation particularly interesting for me. 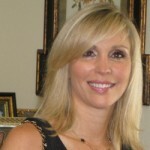 References are made throughout the story about the family’s vegan lifestyle and the foods they eat, such as nut cheese and garlic flaxseed crackers. In fact, 20 vegan recipes by Joanna Samorow-Merzer are provided at the end of the book which look simple and delicious. Who wouldn’t love some fabulous bonus recipes at the end of a great novel? Mr. Merzer’s wonderful new novel asks the question “Is America ready for its first vegan President?” What do you think? Given that both Bill Clinton and Al Gore have embarked upon vegan diets, I could actually imagine the real possibility of a vegan family in the White House, couldn’t you? And imagining such a scenario is extremely easy while reading Glen Merzer’s intelligent, funny and relevant “one-of-a-kind” story involving a vegan family heading towards The White House. I highly suggest that you read this wonderful novel, Off The Reservation, which is clearly “on the mark” in highlighting the most important issues we currently face as a nation. And who wouldn’t want those 20 amazing vegan bonus recipes too? 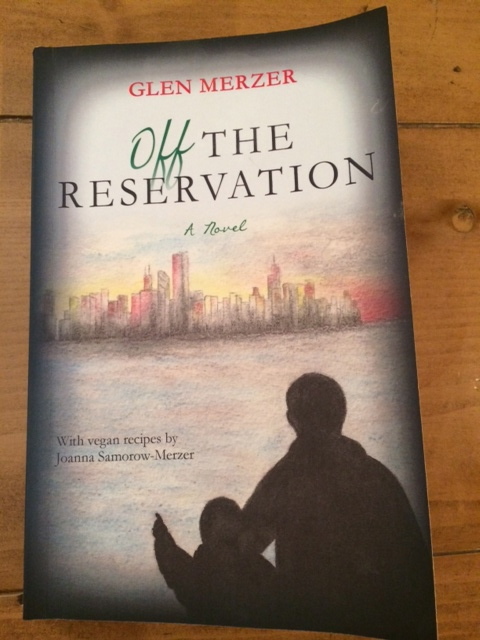 Click here to purchase “Off The Reservation” by Glen Merzer on Amazon. I am half way through this book – Off the Reservation and am truly loving it! I wish Evan Gorgoni was a real person running for president!